If you’ve been in a car accident or have a condition that affects the spine, such as vertebral subluxation complex, the muscles can spasm, stiffen, weaken or waste away. In addition, if scar tissue develops, muscle tone can change. All of this can affect your mobility, comfort and ability to perform certain functions and movements. More importantly, the muscles surround and give the body’s skeleton its support. When muscles are compromised, bones — including the spine — can lose their natural alignment. 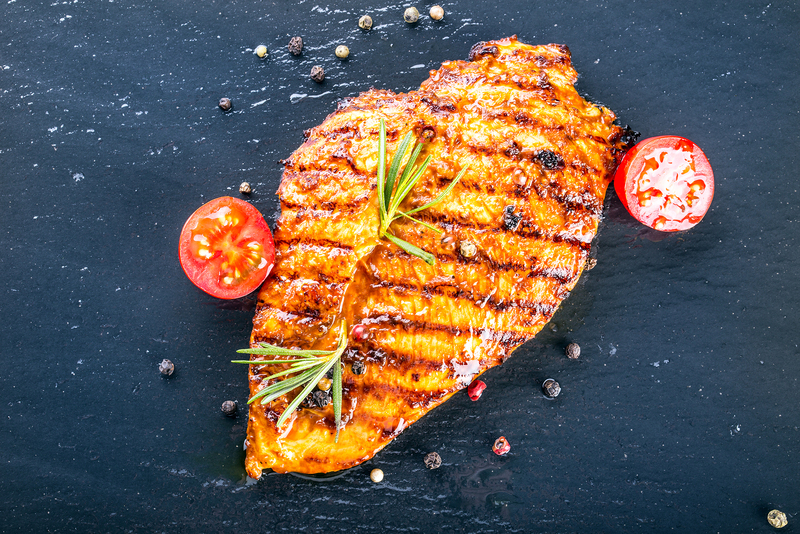 Why Are Lean Proteins Important to Your Chiropractic Treatment? Proteins are our body’s building blocks for strong and healthy bones, skin, muscles, cartilage and blood. They are also the building blocks of vitamins, enzymes and hormones. So, what does this mean in terms of chiropractic care? When protein is properly synthesized by the body, it speeds up tissue repair, prevents atrophy caused by immobilization and fortifies connective tissue, which can expedite your recovery time when combined with chiropractic treatments such as spinal adjustments and soft tissue work. As an additional benefit, lean proteins can help you feel fuller longer. This can lead to weight loss as you are more likely to minimize the number of calories consumed. Weight loss helps to relieve stress on the body’s skeleton, so, if the bones are out of alignment, avoiding this added pressure can reduce pain. In addition, if spinal adjustments have been performed to bring the spine into line, weight management can help prevent the spinal bones from slipping out of place again. What Are Some Additional Benefits of Lean Proteins? Aside from the advantages aforementioned, proteins can aid in heart health. This has been examined in studies, including one conducted by Johns Hopkins Medicine. They found that participants who removed 10 percent of their calories from carbohydrates and replaced them with protein experienced a 21-percent deduction in their risk for cardiovascular disease. Their blood pressure and cholesterol levels lowered as well. Which Lean Proteins Should You Choose? To learn more about how lean proteins can help with your chiropractic treatment, speak with your chiropractor today.